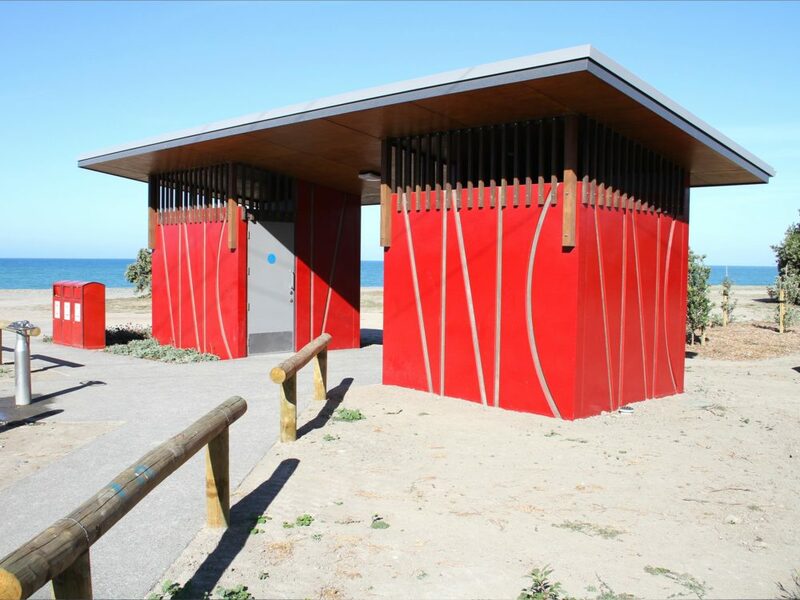 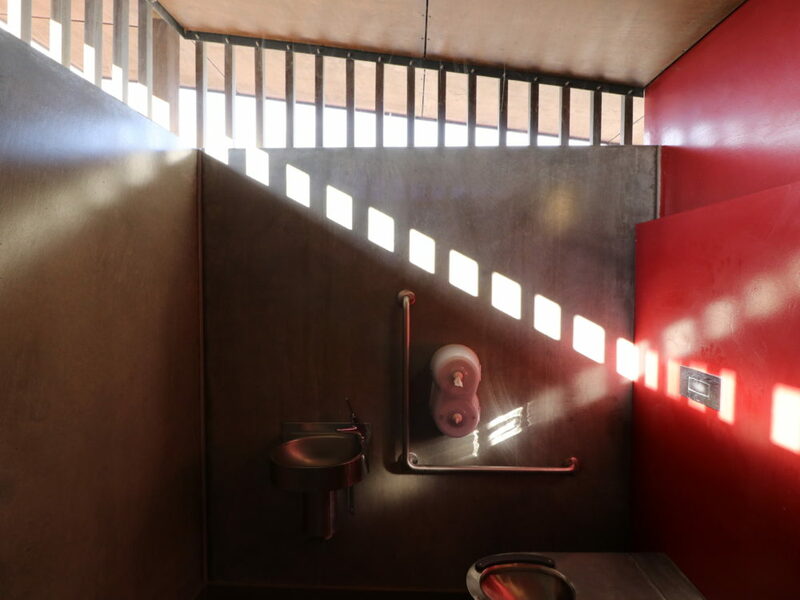 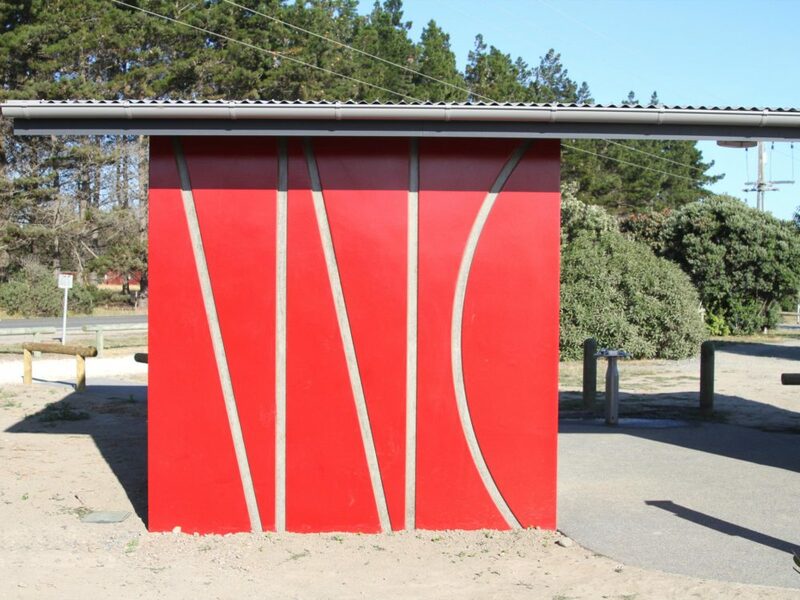 Set between the coastal road, the iWay cycle path, and the sea, these new toilets serve coastal walkers and cyclists together with the overnight freedom campers that park in the reserve. 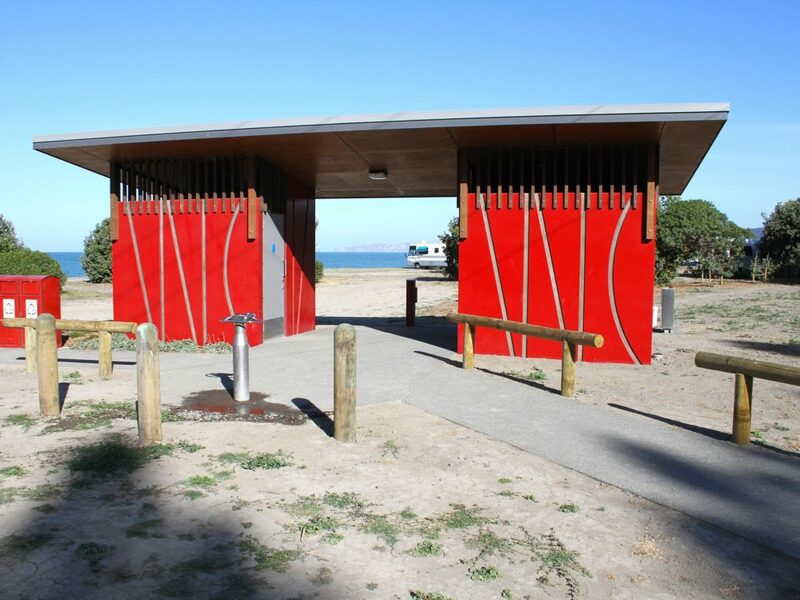 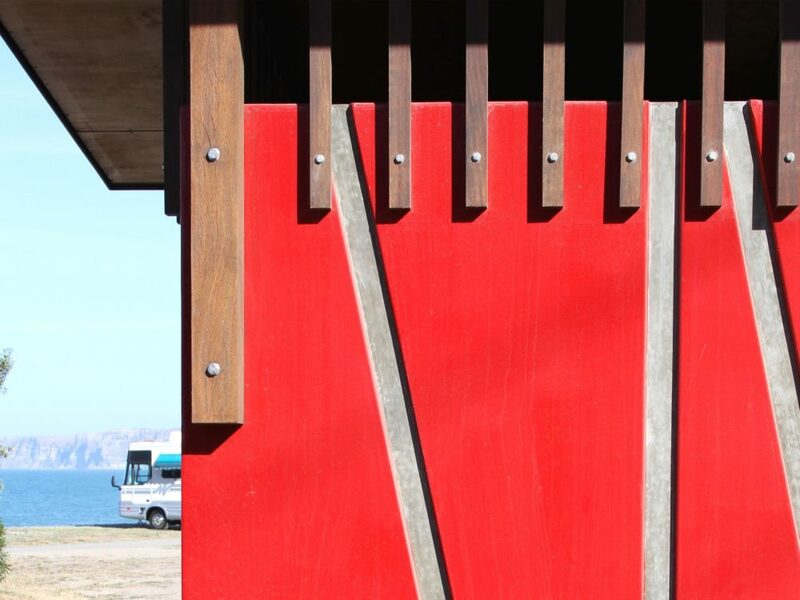 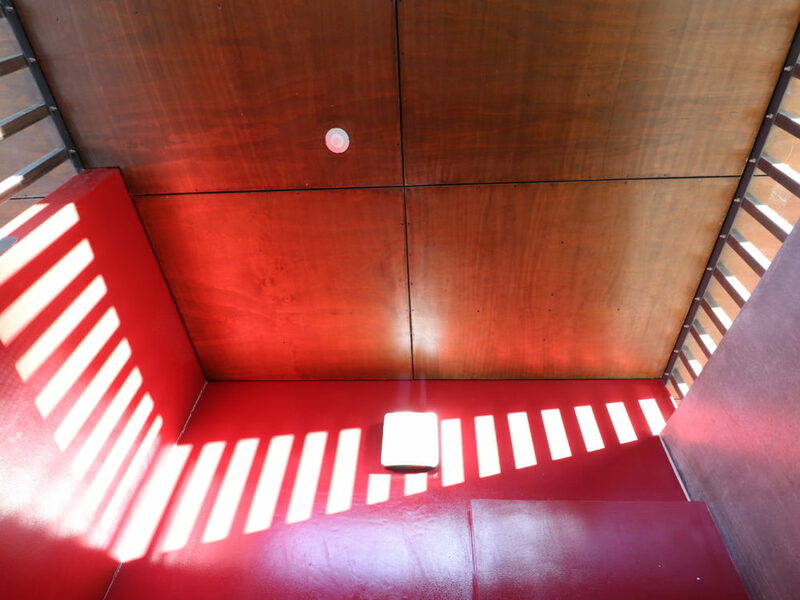 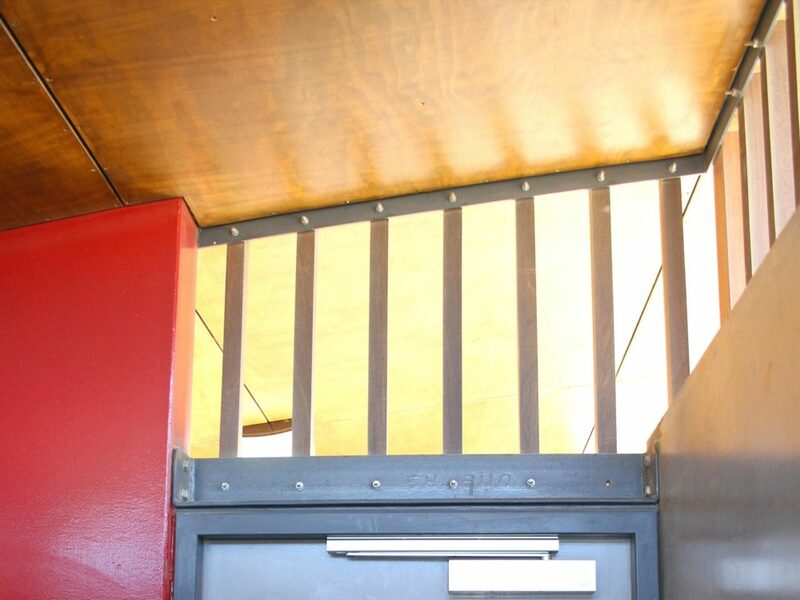 The site is both coastal and rural, with the kiwi rural red shed referenced in form and colour. 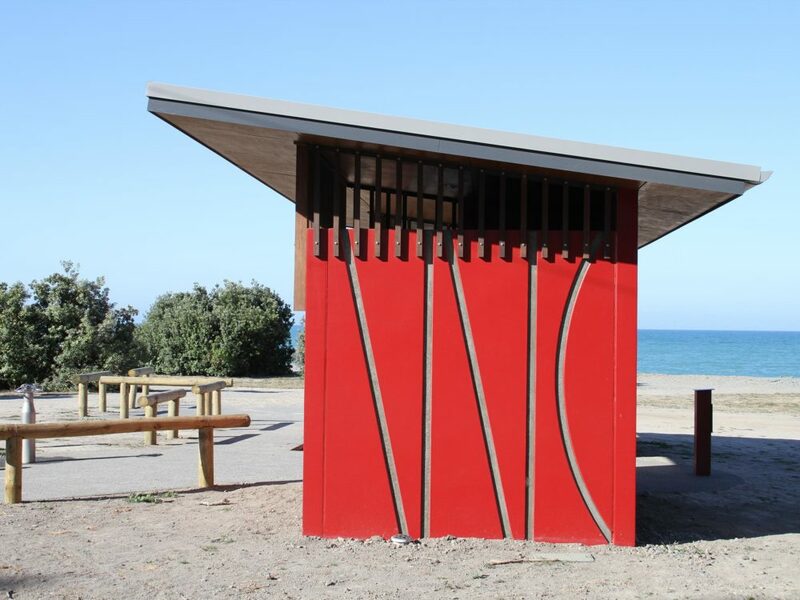 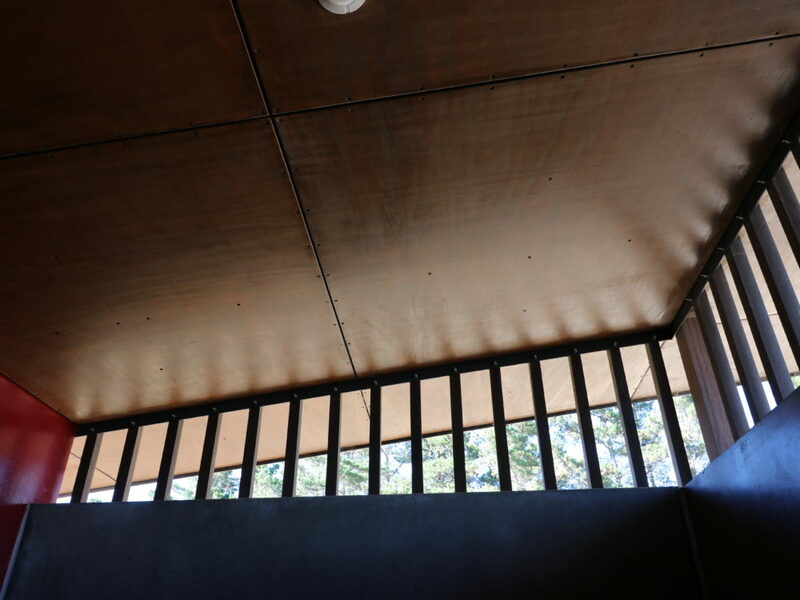 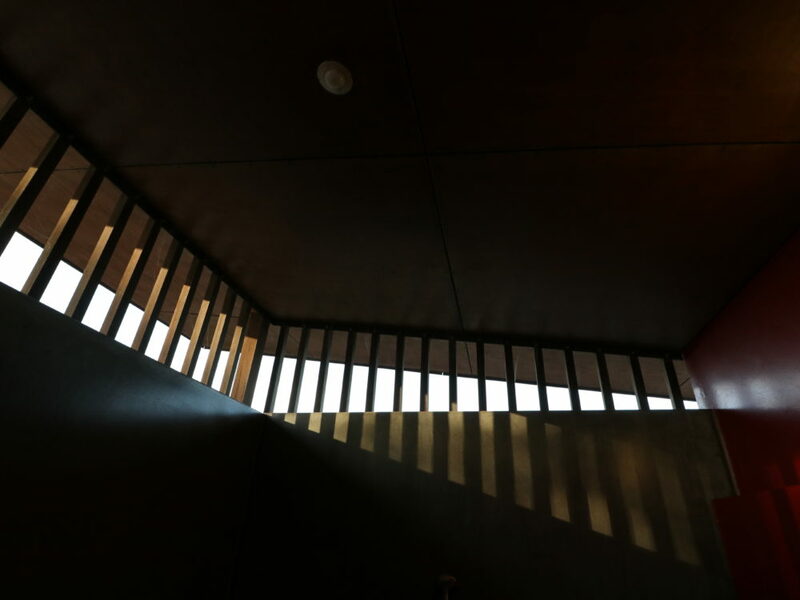 The ‘cubicles’ are split with a covered area in between, to break their visual bulk and to provide shelter, and are oriented to frame the view to Cape Kidnappers. 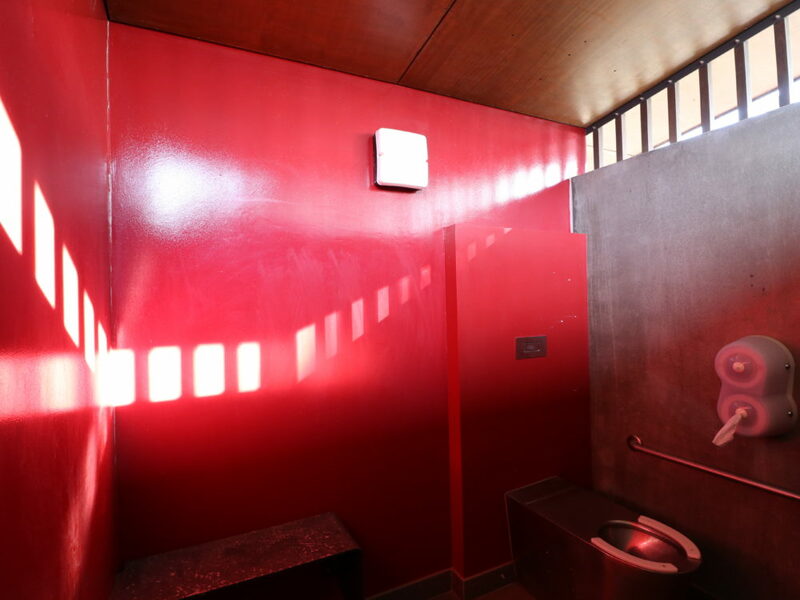 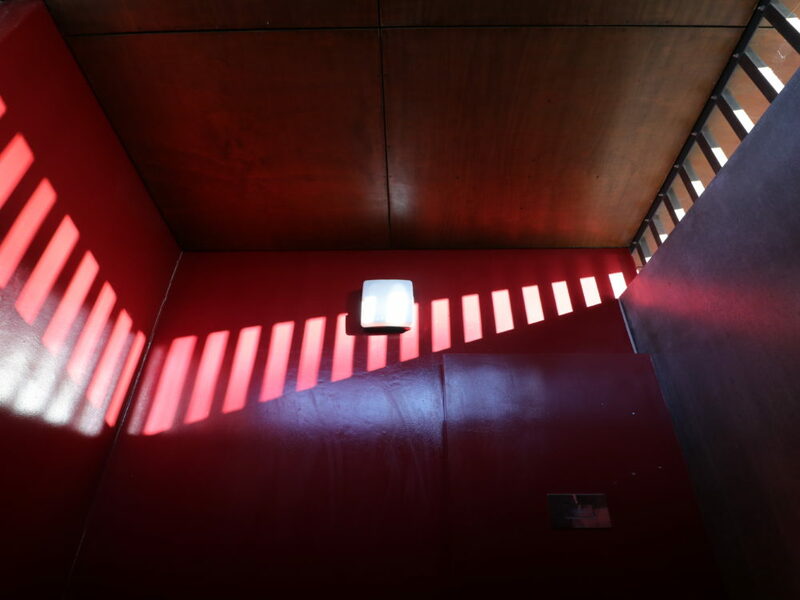 To be seen in this context the toilets are painted an intense red, acting as a route sign, inviting a stop for a comfort break, a drink and a chance to lift your head and admire the view.